Go to the “SQL Server” sections and click on gear button. 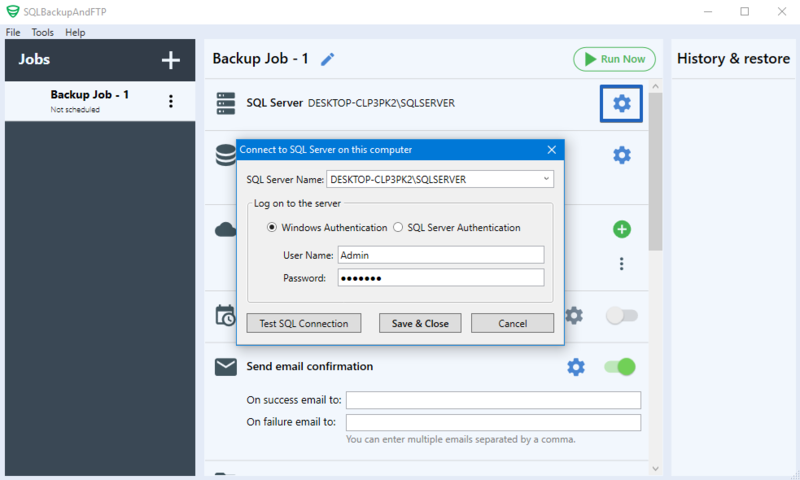 At the opened “Connect to SQL Server on this computer” window you need select “Windows Authentication” and enter User Name and Password. 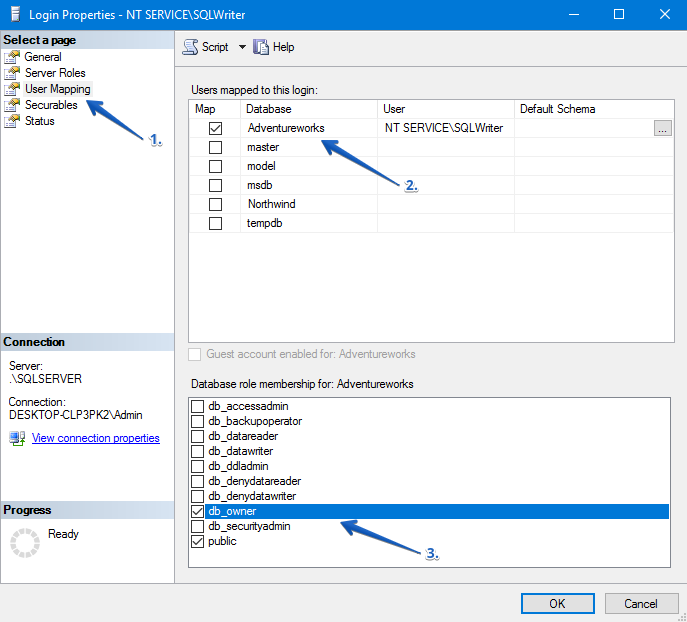 Press “Test SQL Server Connection” to make sure that you have specified the correct data and then click on “Save & Close” to save and apply new settings. 1. 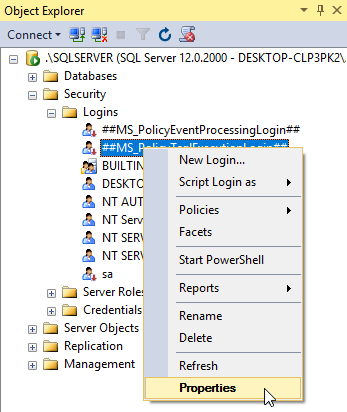 Run SQL Server Management Studio and click “Security” > “Logins” > and right-click on the user you need then select “Properties”. 2. Then click “User Mapping“, select a database and specify a role for the selected user. how can I find the password for “Run cheduled Job As”? I am trying to backup on network computer. I did not set any passwords in window for network.